My new collection of 10 free black grunge textures feature dark and grimy tones from the ashes of hell, which is really just a metaphor for my bathroom… Although I have to point out, my bathroom is not the kind of filth ridden place you would expect to find such surfaces (nor is it a fiery pit of desolation and eternal suffering), but after lots of adjustment and processing, these close-up photographs of marble tiles produce the kind of surfaces you could only expect to find in the depths of the underworld. 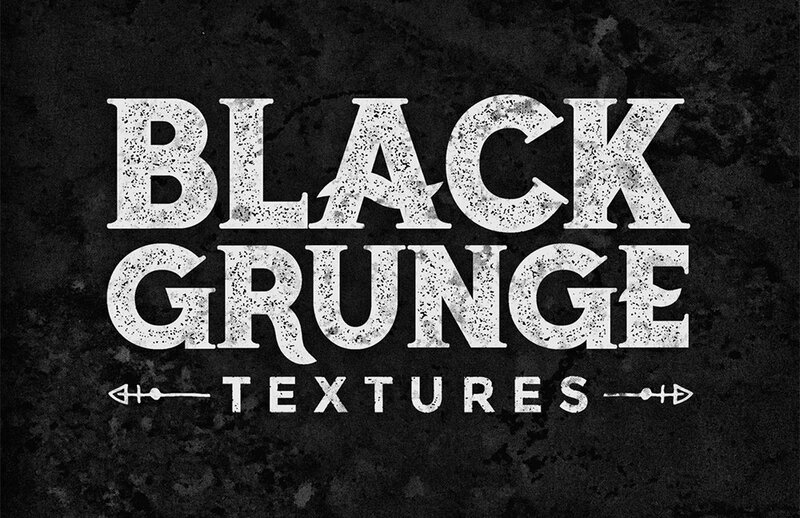 These black grunge textures are the perfect asset for creating dark designs. Use them as backgrounds or within layer masks to distress your artwork with harsh effects. This free collection of Black Grunge Textures contains 10 3000x2250px JPG image files, each with unique surface details. They all have dark tones, harsh contrast and grainy details which combine to make great texture resources to use in projects that require a dirty and distressed aesthetic. Very funny, Chris. I dunno others, but I kind of enjoy your intro. hahaha. Anyway. Thank’s for this textures, Chris. Thanks Acun! I enjoy creating photo effect Actions every now and then but when it comes to actual photography I don’t really have that much experience. Good designs, thanks Chris for the share. Thank you very much, they are beautiful! Great stuff Chris. Apprecite these fella. Glad you like them Alan! Thanks for the beautiful textures! These are great! Thanks Chris! Did you use these textures in your text on the graphic above? If so, I love the effect. If not, can you point us in the direction where the textures are that you used in the text? Thanks! Thanks for the great textures! Great, glad you like them! Gonna make good use of them. Wow, thank you so much for your generosity! I will put these to good use. Keep up the awesome work! Great texture dude. I was curious about this one and it looks like this is a real ash from hell. I never use some texture like this one and this is my first time and I really, really like it. Thank you Mikael, appreciate it!